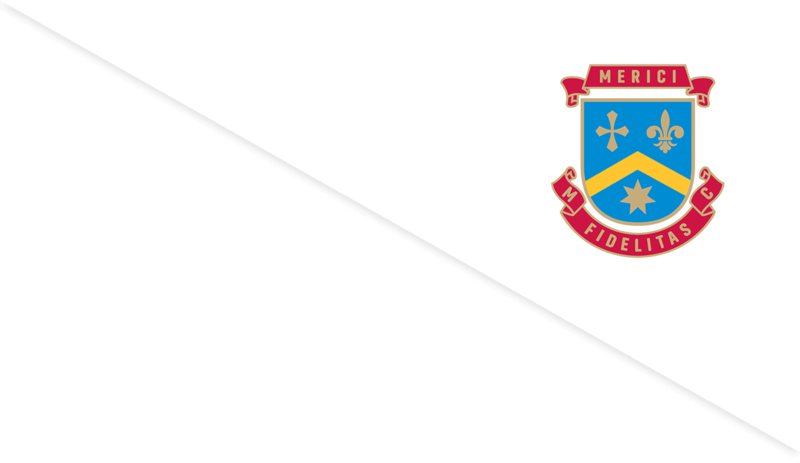 Merici News is the place to find out everything that's going on at Merici College. View our latest news articles, find out about upcoming events, browse galleries and read our faculty blogs. If you'd like more information on our school curriculum or enrolments please visit our main website. Explore our latest articles below or search our site for your year group, school house, or any other keyword. Merici College congratulates staff members Laura Pearce and Jodie Muldoon on their graduation today. We congratulate Imogen Dorsett who is currently participating in the Under 15’s National Hockey Tournament. Our China Study Tour Group has arrived in China! This week our solar energy system was officially handed over to the school by SolarHub. This week we have a look back at our uniform! Our Year 7 IH students presented their Ancient History museum displays today. Merici Green Tip #10 - We were warned! A brief video (2.37) to outline why we at Merici take sustainability seriously. 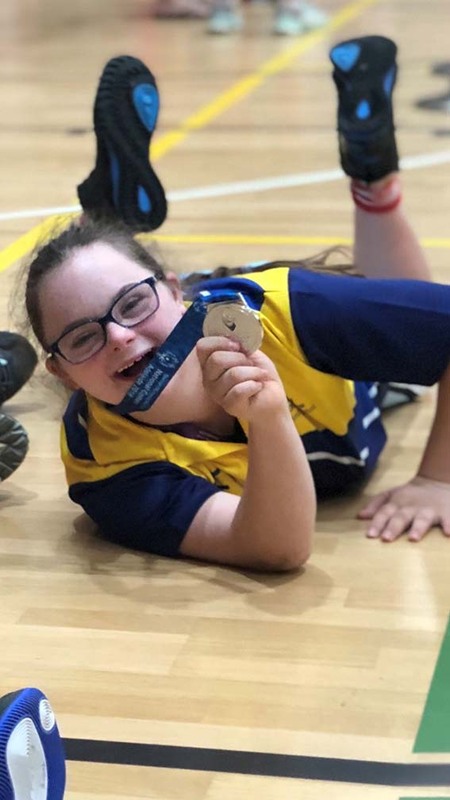 We congratulate Anna Connolly who received the Silver Medal for Basketball at the Nationals Special Olympics in Adelaide during the holidays. Fantastic achievement Anna! Senior Business and Legal Studies students welcomed Minister Cash to the College who launched the 2018 edition of Australian Jobs. The publication provides an overview of trends in the Australian labour market to support job seekers and providers, careers advisers, those considering future training and work and people interested in labour market issues. Minister Cash presented an overview of the Australian labour market to the students, in particular focusing on job opportunities for young women. We would like to thank Minister Cash for spending time with the girls. We welcomed the first 2018 Canberra morning below zero this morning! Along with the chill, Canberrans are dusting off their winter coats, including a lot of puffer jackets. 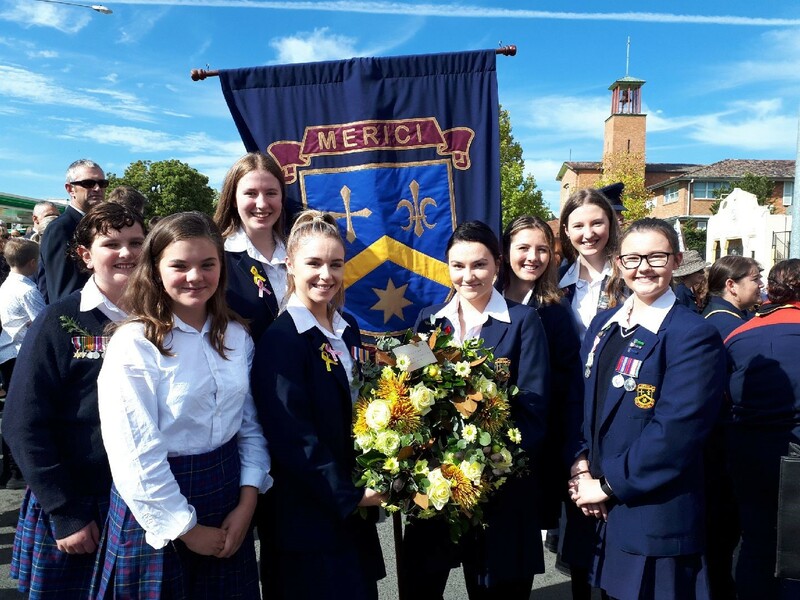 Merici College took part in this year's ANZAC Day March and Ceremony, continuing a long tradition. We were represented by a strong contingent of students and staff and, as always, our girls represented our school with style and dignity. One of the special aspects of this year's ceremony was that it was our turn to deliver the student address. Each year a representative from either Queanbeyan High, Karabar High, St Edmund's College or Merici College has the great honour of presenting a speech about what ANZAC Day means to them. Monique competed at Penrith Valley Artistic Figure Skating Competition on Saturday 10th March representing the ACT and placing 1st in her division. 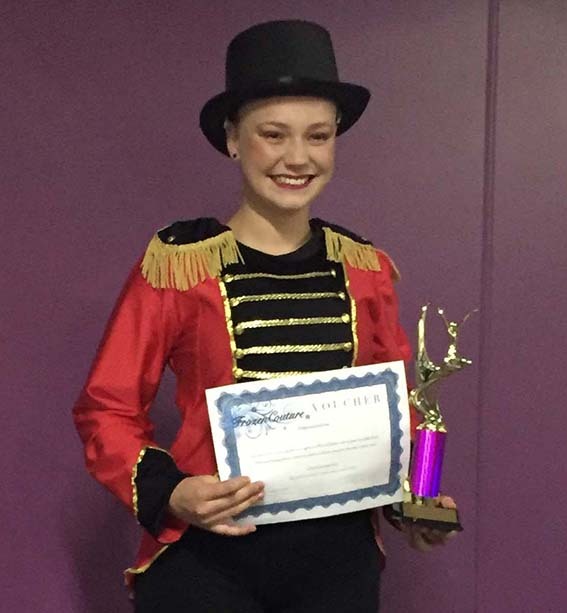 She also competed at Ice Zoo Artistic Mascot NSW on Sunday 8th April also representing the ACT and placed 1st. We congratulate Monique on her achievements and wish her continued success in future competitions. Did you know that Australian households throw away $8 billion worth of food every year? Food waste is a big problem but there are a lot of creative solutions. We would like to thank Caitlin Figueiredo for speaking to our Student Representative Council (SRC) members at their Leadership Day today. Caitlin spoke about the importance of giving and compromise when you are a leader and the ability to see the ‘big picture’ and to make 'big dreams'. Her presentation was an inspiration to all our students. Caitlin also had the opportunity of visiting her old PC classroom, Ningil 6, now a renovated science lab! We look forward to seeing Caitlin back at Merici in August. Merici is getting Rail Ready! It’s Time to Think about Safety. Get Rail Ready Canberra! Canberra's Light Rail is fast approaching and it's time to think about safety. 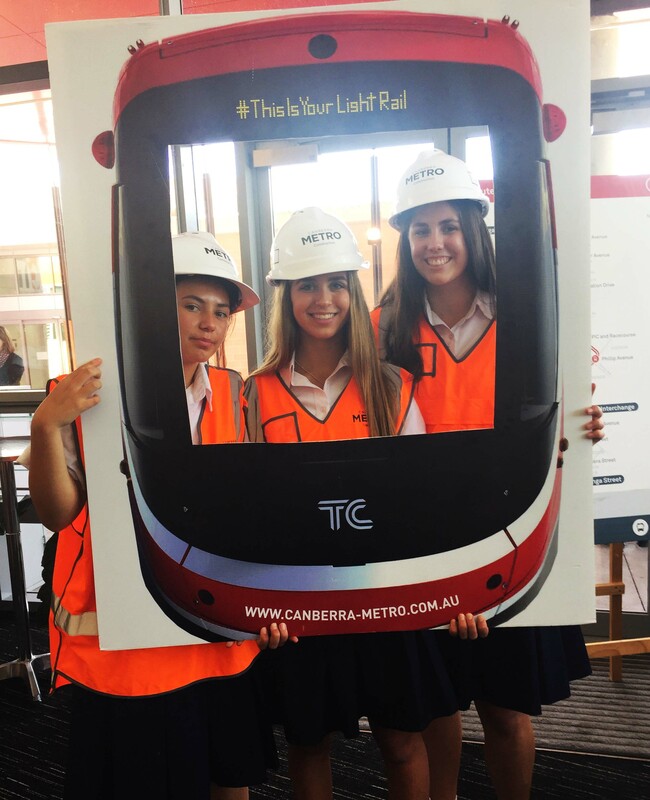 In a special event held at Gungahlin College, Minister for Transport and City Services Meegan Fitzharris launched the "Rail Ready" Light Rail Safety Program. Read more about Merici is getting Rail Ready! Please follow the link https://www.merici.act.edu.au/node/1878 to find our latest What;'s On newsletter.